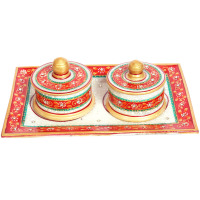 This exquisite look of this balled jewelry set comes from the good combination of gold plated brass metals with good red ruby and dazzling inexperienced emerald stones. 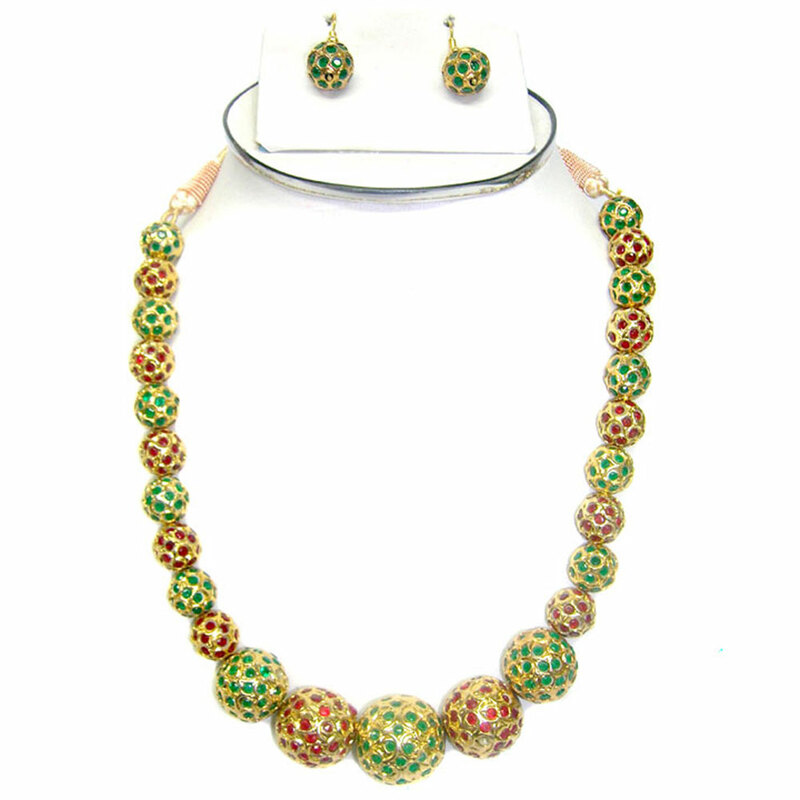 This exquisite look of this balled necklace set comes from the great combination of gold plated brass metals with brilliant red ruby and dazzling green Read More..emerald stones. The alternate setting of red and green stoned balls adds to the grace of the necklace. The matching earrings feature only green emerald stones. Show Less..